match as captain where we got some pictures of the pitch logged in water but both captains decided on phone to arrive at the ground and then decide whether to play or not. We had some great, great hard work by Ashok Kumar, Atul , Morimoto san, Rajneesh and your reporter to drain out the water out of the pitch, and get some hay on to the bowlers run-Up. But the AQ’s were looking hesitant to play on the wicket especially the bowling run-up where they were worried about theinjury to bowlers. After a long wait, it was decided to go for a game of 25 overs as rain was expected later in the afternoon too. After winning the toss your writer decided to put AQ into bat as I felt giving them a go at the bowl first would give them a chance to avoid the match to go on as they were reluctant on bowling in those conditions & also would the pitch get easy to bat later on. Rajneesh and Manvi opened the bowling handled the opening spell very well with hardly any runs coming off the bat in the first 6 overs, rest were wides and legbyes. Soon Manvi came up with a double breakthrough sending both the AQ openers back to the pavilion. Manvi was unstoppable from there on and he captured all the top 5 AQ wickets in his continuous spell of 5 overs conceding a mere 26 runs. AQ were struggling at 43/5 after 10overs. Gurdeep Singh, who replaced Rajneesh, after his first spell too bowled extremely well (5/16) keeping the AQ batsman on their toes with a few speedy balls taking the AQ batsman by surprise. ‘Keeper Atul kept excellent all the way with some hard taking from the bowlers but kept going tougher & tougher. Well done, Atul! 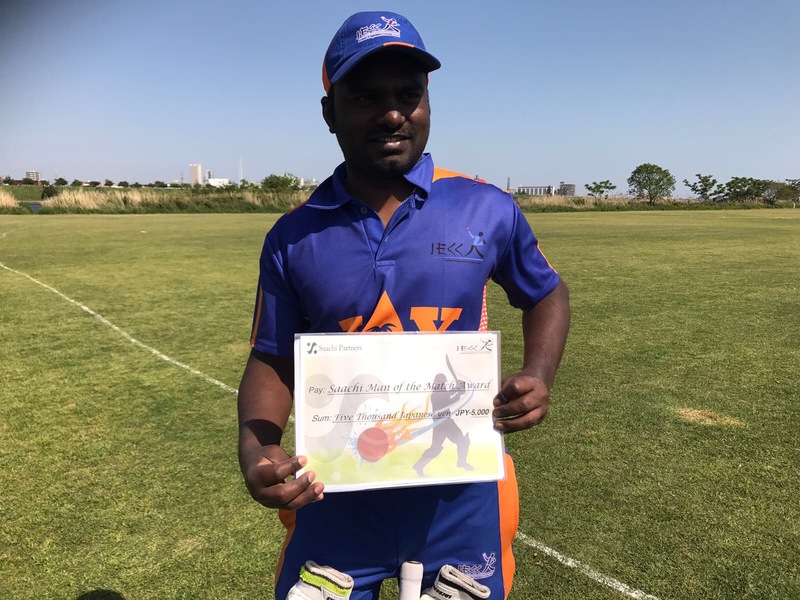 The Next bowling change proved a bit expensive with Ashok, Adbul, Shanmugam having bowled an over each and Pavethy at the other end bowled a couple of good overs but the wickets had dried up by then an the batsmen were getting set. 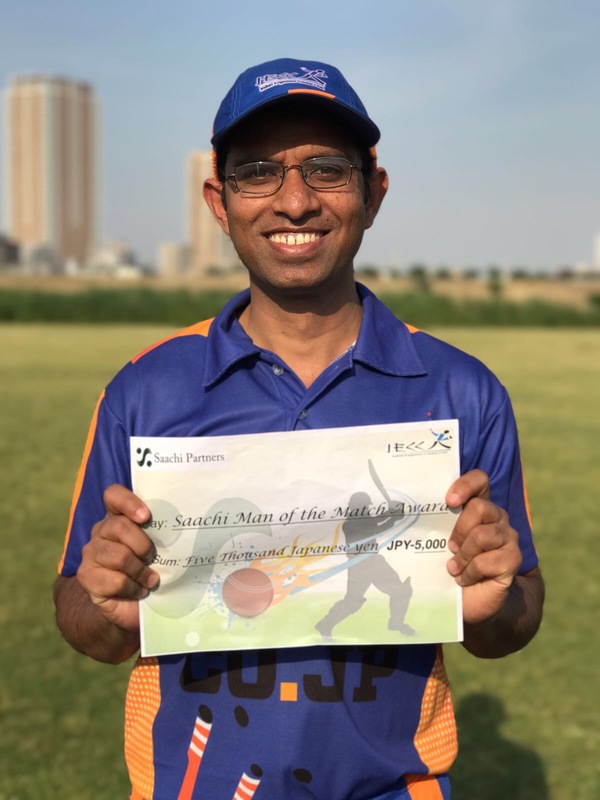 So yours truly decided to bring himself on from one end and bring back the experienced Guru and Rajneesh at the other end to stop them which proved effective in my very 1st over where I ran out the set batsman with a direct hit after which the AQ runswere dried up and we ran through their lower batting order. Your writer had figures of 4-0-11-2. Pavethy bowled the last over which was a maiden 5 ball over taking the last AQ wicket. AQ finished at 121/10. With the Pitch nice & dry and the ball coming perfectly on to the bat which proved my decision right of bowling first. 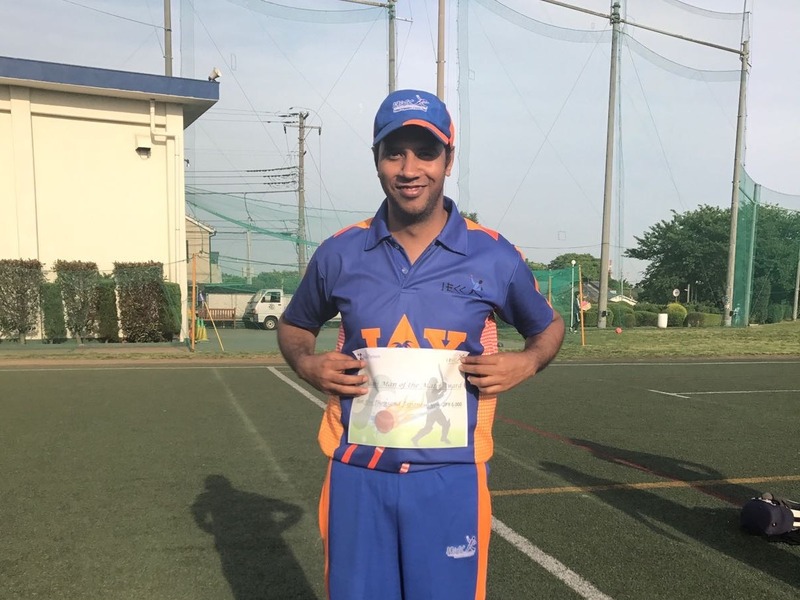 As the was score getting closer to the target, Abdul (20) fell after which our star bowler of the match, Manvi (4) arrived but did not last long. In came the Dabangg Guru who started off with a ‘kadak’ boundary. With run rate of a run a ball, myself and Guru kept the scores ticking with singles & doubles after which I got a boundary followed by a six to mid-wicket which took the pressure off the batsmen. Guru showed no respect to any of the AQ bowlers and kept hitting the ball harder and with a boundary to it, took away the match from them. Needing 10 runs in 3 overs myself (18) & Guru (16 Runs) finished off in style with 2 overs to spare. There was no doubt our MoM was Manvi who rocked AQ’s top order with an excellent 5 wicket haul. Cheers guys, let us keep this winning momentum ON. Untill then, it is your captain signing off for now.